Lori Allen is the Director of Great Escape Publishing, which publishes nearly thirty home-study programs, including The Ultimate Travel Writer’s Program, Turn Your Pictures into Cash, Importing Fortunes and Leading Tours for Fun & Profit. Lori is also the Editor of The Right Way to Travel, which features articles geared to help writers and photographers improve their skill, sell their work, and earn an income through travel. Over the past twelve years, Lori Allen has worked personally with more than 3,000 budding travel writers and photographers to help them meet those same goals – to hone their writing and photography skills and to better market themselves to prospective clients and editors. Biggest confession: I just pretend to be a perfect packer. In reality, I actually violate all my own rules for packing. I always overpack. I always forget to pack headache medicine (and I get a headache on nearly every trip). And I have no idea how to judge temperatures. If the weather report says 70 degrees, I don’t know if that means shorts or pants, long sleeve or short. In the end I usually pack both and wear only a third of what I bring. And since I’m already giving up my travel flaws, I should also mention that I get insanely motion sick when I travel and I never take anything for it. You’d think I’d carry Dramamine or Bonine with me wherever I go (even a short taxi ride makes me dizzy). But no, I never remember it. I guess the saving grace is that if I ever get sick, I’ve got enough clothes in my bag to change. Bonnie is the Creative Director for Great Escape Publishing, a regular contributor to The Right Way to Travel, and creator of the Breakfast Stock Club, which helps folks to get up-and-running selling their photos in online stock photo agencies. 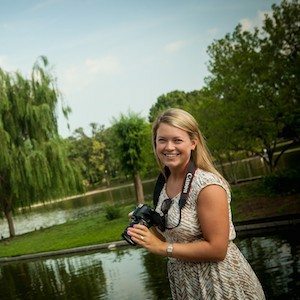 She got her first travel articles and photos published after attending the Ultimate Travel Writer’s Workshop six summers ago in her hometown of Portland, Oregon. 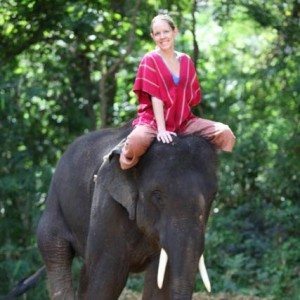 Before joining Great Escape Publishing, she taught English in the South of France and vagabonded through South America and South East Asia, dutifully testing all of the local foods and massage techniques. Favorite travel tip: Don’t book a hotel room when you can rent an apartment! It tends to be cheaper, offers more room, and lets you live like a local, with a kitchen and living area. Recently, some friends and I found a cute apartment right in the middle of Paris with a balcony for half the price we would have paid for a hotel room in the city. I like to use Airbnb.com or Vrbo.com to book. 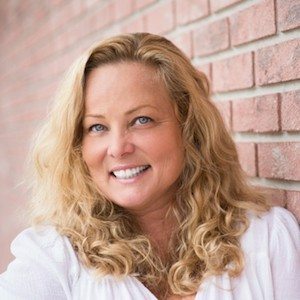 Jackie is the Marketing Director for Great Escape Publishing and manages web marketing, helps coordinate international expedition trips, and oversees accounting. Before joining Great Escape, Jackie graduated from Wake Forest University and caught the travel bug while studying abroad for a semester in Australia. 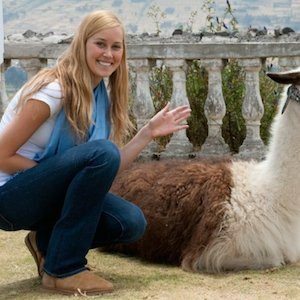 Some of her favorite places that she has traveled to in the last decade include China, New Zealand, Morocco, Paris, Amsterdam and the Galapagos Islands. Having been to six of the seven continents, she hopes to travel to Antarctica in the near future. What’s the most adventurous thing you’ve done while traveling? While studying abroad in Australia, I decided it was a must to jump over to New Zealand for a bit. And since Queenstown is unofficially known as the “Adventure Capital of the World,” I just had to try a few of the adventurous activities there. So even though I am afraid of heights, I signed up to go bungy jumping and skydiving in the same day. It was quite the experience. That morning, my tandem skydiving instructor had us do a backflip out of the plane- without warning- and we overshot the landing by about 10 feet, tangling us up in the target netting. Then, at the bungy spot that afternoon- the tallest in the Western Hemisphere- after one brave soul risked his life jumping in hazardous winds, we had to be moved to a shorter bungy (the original bungy at the Kawarau Bridge). Once there, the only issues were thankfully my shaky knees and closed eyes. It was an adventurous day for sure – and one that I will never forget! Washington & Lee University with a degree in journalism. 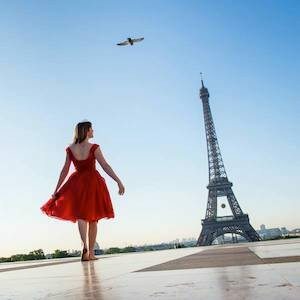 She spent her junior year studying and living in Paris, France, where she fell further in love with the city and language, and realized that travel needed to be a permanent part of her job. In the last five years she’s traveled to London, Paris, Copenhagen, the Greek Isles, Mexico, and the Dominican Republic. She currently resides in Washington, D.C. What’s your favorite thing that you’ve eaten abroad, and why? While in Ecuador on one of our photography workshops, I got the chance to eat a fruit I had never heard of before: Cherimoya. This moment was memorable, because I was on a two-hour taxi ride with a driver who spoke no English. I speak just a few words of broken Spanish. Needless to say it was a pretty quiet ride. Somehow we started trying to converse and I was telling him about how amazing the fruits are in Ecuador and how I can’t believe there’s such variety. He came alive when I said this-and at the next turn, he pulled over at a local roadside stand, purchased two Cherimoyas, and we sat in the car and ate them together. He had to demonstrate how to break open the sweet fruit, and eat it without letting the seeds get in the way. It was not only delicious, but it was a great way to share an experience with someone when language was clearly a barrier. (NATO). 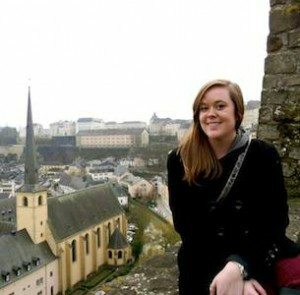 Alyssa’s passion for education, travel, and culture has taken her to Luxembourg, the Czech Republic, Hungary, Belgium, Ireland, Northern Ireland, France, Spain, Peru, and Iceland. She currently resides in Washington, D.C. What’s your favorite part about traveling? Getting lost. I’ve found that I discover the most amazing sites, interesting people, and fascinating places when it’s all unplanned. If you’re not on a time crunch, throw away the itinerary and just explore! My favorite days have been the ones I’ve spent wandering around a city I don’t know, with absolutely no agenda. Sometimes you just have to walk out the door, go left or right, and see where it takes you. Kacyn is the Member Services Representative for Great Escape Publishing, and enjoys working with our amazing members, providing them full support with online programs, workshops and expeditions. Kacyn currently lives in Boca Raton, FL, and also attended college in South Florida. Prior to joining Great Escape, Kacyn managed an art gallery in Palm Beach. She has traveled to Barbados, Mexico, Puerto Rico, Paris, Normandy, CuraÃ§ao, and Scotland, and would love to visit the Greek Islands in the near future. What’s the number one must-have item in your carry-on? My iPad. It’s my in-flight entertainment. Netflix, a good book, and brain games can make a long flight go by quickly. 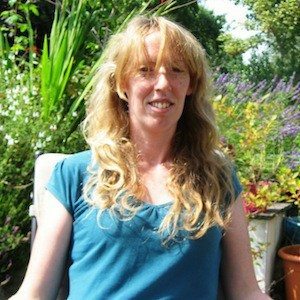 Mairead is the Promotions Manager for Great Escape Publishing, informing our readers of the many great resources available to help them fund a life of travel and adventure. Mairead graduated in Psychology from University College Dublin, and before joining Great Escape, she was the Marketing Director at Pathfinder International. From her home base in Ireland, Mairead has explored much of Europe; France, Spain, Holland, Germany, Poland, and the Czech Republic to name a few – and further afield to Panama and the United States. Where’s the next place on your bucket list? Next on my bucket list is wandering through Italy by RV, exploring age-old customs, local festivals, and food. I also hope to someday visit the monasteries in Tibet. Want to intern with us? We are always looking for other creative, fun, hardworking folks who want to help others get paid to travel and join our team! If you’re interested, please send your resume to lori@greatescapepublishing.com.